I first came across this species whilst out for a routine ‘fungi stroll’ on Hampstead Heath, back in early September 2002, . Shortly after my discovery, I put a call into all round Russula expert Geoffrey Kibby, who wasted no time at all in letting me know that this was an important find. I have subsequently found two additional sites for this species on Hampstead Heath. 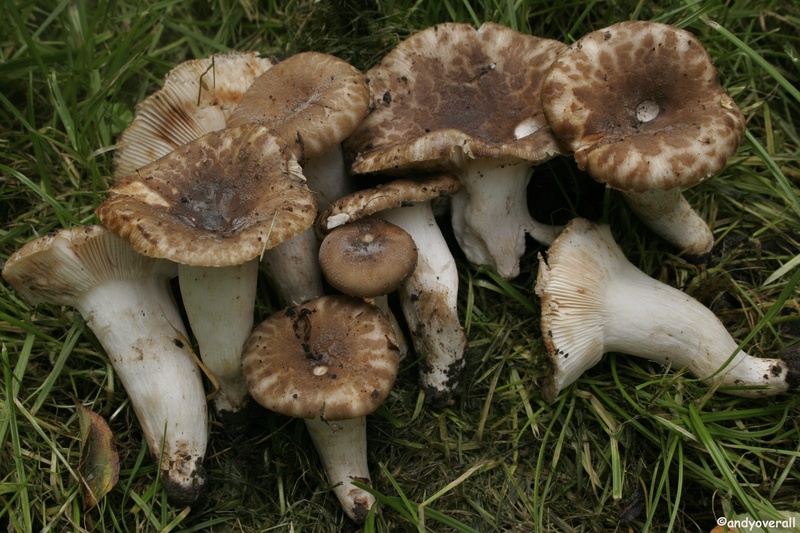 It is unusual among the Russula genus in that it has a thin veil covering the cap whilst emerging from the soil, the cells of which help separate it from the very closely related R. sororia. Remnants of this veil can clearly be seen as whitish, grey patches on specimens in the picture above, which was taken on September 11th 2010.